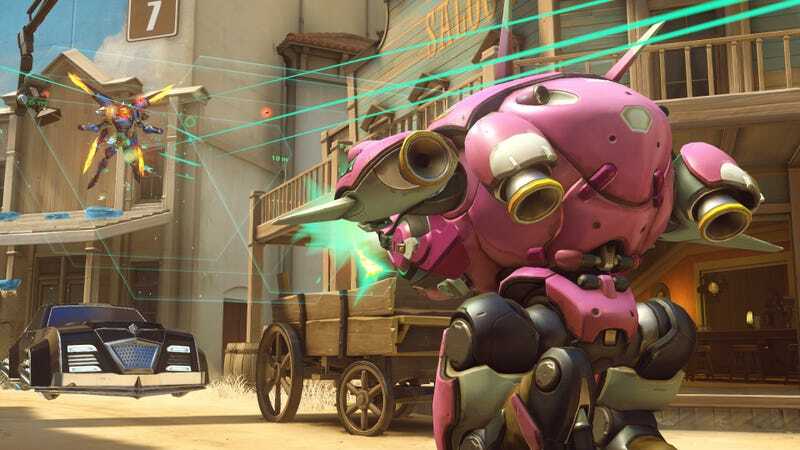 Overwatch’s competitive mode has proven a contentious subject, to say the least. One thing pretty much everyone agrees on, however, is that the sudden death tiebreaker mode needs a serious overhaul. The good news: it’s getting one! The bad news: in the near future, tweaks will be slight. Blizzard isn’t Pharah ulting it into oblivion until next season. Sudden death occurs in competitive mode after teams tie. A coin flip determines who plays attack and who plays defense. Attackers try to capture a single point, and defenders try to stop them. Winner takes the whole match. Some people feel that the system is unfair, as attack and defense are fundamentally different positions, and some maps confer slight advantages to one side or the other. As part of a recent Overwatch patch, Blizzard tweaked Sudden Death timing on all but one map, Hollywood. Otherwise, it’s been shortened everywhere from 1 min 45 secs to either 1 minute and 30 secs or 1 minute and 35 secs, except on Numbani, where it actually got increased to 1 minute and 50 secs. So baby steps, basically. Many people’s central problems with sudden death—that attack/defense is decided with a coin toss and the whole thing can render hard fought matches more or less moot—have not been addressed here, but that’s not the point. For this season, Blizzard seems hell bent on making the best of a bad system. Fair enough. Next season, however, Sudden Death is, well, suddenly dying. Speaking with PC Gamer, Blizzard’s Scott Mercer explained what will take its place. So yeah, instead of forcing a resolution to ties, Blizzard is just gonna let them happen. They’ve yet to explain how that will affect your stats and Skill Rating, but I already feel like it’s a much better idea than Sudden Death as it currently exists. It fits well with Overwatch’s “everybody wins” ethos too, since it’ll create an outcome where, you know, everybody wins. Or at least, they might, depending on how Blizzard decides to dole out rewards. That said, I could see it get annoying/unsatisfying if people feel like they’re tying too often. It’ll be a delicate balancing act, that’s for sure.